Perniö is a former municipality of Finland. Kick off your visit on the 20th (Thu): explore the striking landscape of Teijo national park. To see ratings, photos, reviews, and more tourist information, refer to the Pernio trip itinerary builder . Perth, Australia to Pernio is an approximately 26-hour flight. You'll gain 6 hours traveling from Perth to Pernio due to the time zone difference. In June in Pernio, expect temperatures between 21°C during the day and 10°C at night. Finish up your sightseeing early on the 20th (Thu) so you can travel to Naantali. Naantali is a town in south-western Finland, known as one of the most important tourist centres of the country. Get in touch with nature at The Archipelago Trail and Ispoinen Beach and Sauna. 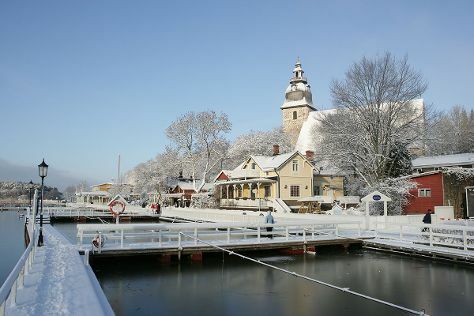 Satisfy your inner culture vulture at Naantali Old Town and Luostarinmaki Handicrafts Museum. There's still lots to do: take an in-depth tour of Turku Castle, take in the spiritual surroundings of Turku Cathedral, brush up on your military savvy at Forum Marinum Maritime Centre, and delve into the distant past at Aboa Vetus & Ars Nova. To find more things to do, traveler tips, ratings, and other tourist information, read our Naantali online travel planner . Getting from Pernio to Naantali by car takes about 1.5 hours. In June, daytime highs in Naantali are 20°C, while nighttime lows are 9°C. Finish your sightseeing early on the 23rd (Sun) so you can travel back home.